In the last 25 years, we’ve seen many changes in the field of haptics. In its early days, haptics was, for the most part, an academic thought that few labs entertained, and few companies were bold enough to try to commercialize. The killer haptic application still unknown, and the journey was extremely uncertain because of it. Those were the days of force feedback technology, devices with the ability to provide programmable force/displacement to human limbs that represented physical interactions in virtual or remote environments, e.g., driving a virtual car, manipulating virtual objects, or operating a remote robot. It was a very cool technology, with very expensive parts and big machinery required to support it. We were still very far away (a decade, to be precise) from the realization of technology that could fit in your pocket. Going mobile changed everything…for haptics and everyone in digital tech. Fast forward to today. The killer apps for haptics are all around us – virtual reality(VR), gaming, augmented reality (AR), mobile phones, automotive, simulations and training applications, artificial intelligence, wearables, and so on. 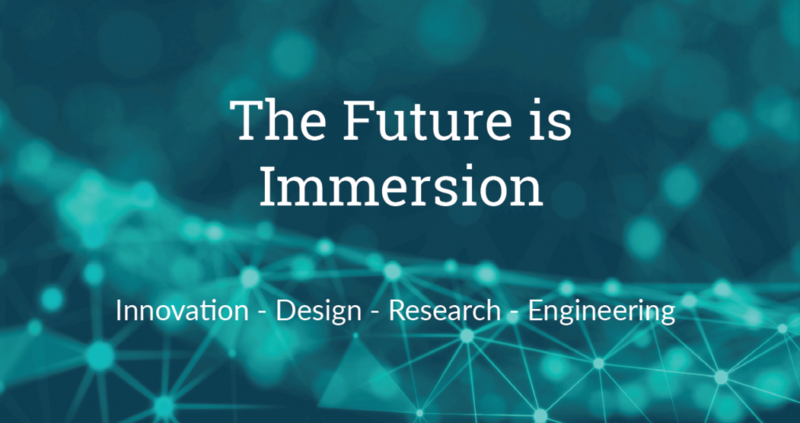 Digital technology is on the cusp of its next phase as it becomes more intelligent, more interactive, definitely more immersive, and everywhere. In the field of haptics, we’ve reached a crossroads. Use of haptic technology is growing, evident in its adoption by major mobile phone vendors. VR controllers from major brands have also included haptics vibrations, although somewhat primitive. And in cars, more and more OEMs are adopting haptics to replace physical knobs by touch screens and touch pads with tactile feedback. We know the sense of touch enriches our lives and digital experiences. But which new technological advancements can truly benefit from haptic technologies? And what is needed to push the commercial value of those technological advancements? In VR, there already seems to be a consensus among major players that a handheld controller is needed to interact with the virtual environment, especially for non-passive content. To create better haptic experiences, we would need high-bandwidth actuation to add more “color” to the type of touch-enabled interactions created with conventional actuators. With this comes the question of weight and power consumption needed to optimize those experiences. This presents new challenges for companies and academia alike to determine solutions that can meet not only those technical specifications but also the price point to be commercially viable. It also seems that VR could become a natural extension for traditional gaming applications. For that, we need new and better haptic technologies for users who have grown accustomed to “rumble,” as well as demand similar feedback wirelessly and with lightweight controllers. AR has received heavy investment in the last few years, and a lot of research has been carried out to determine how best to interact with content in mobility platforms or using AR glasses. The issue with AR glasses is that interactions with its content are mainly through hand gestures, and unlike VR, there is no haptic feedback of any kind because the user is not in contact with a probe. Haptics in AR glasses are feasible, but current technology is in the form of vibrating haptics. It would then be important to create haptic devices that allow AR systems to provide tactile feedback to the hand or another part of the body naturally, without obstructing the main task of interacting with the AR environment or content (e.g., obstructing the hand). Touching virtual objects and perceiving their physical properties is important to create truly immersive experiences. To achieve that, new actuation technologies must be developed to physical textures and all their properties (e.g., friction, temperature, roughness). In the automotive space, it is evident that autonomous cars will go from an experimental phase to mainstream in a few years. As the technology transitions from one place to another, passengers will interact with in-vehicle human-machine-interfaces (HMIs) in new ways. Already, there are some cars that dedicate a large portion of their dashboards to HMI systems. In the future, new haptic technologies will be needed to enable surfaces that are not only bigger, but also conform to a certain shape to display dynamic content. This will require thoughtfully implemented haptic design and feedback. It is not impossible to think that automotive controls might be programmable, and surfaces could feature on-demand controls depending on the activity performed in the car. Accessing a dial? Program a surface with haptics to virtually raise a knob that allows the user to operate with the knob naturally. All new technological developments in AR, VR, gaming, and automotive will lead to new ways to interact with their respective contents or information. Those interactions might only be possible if new haptic technologies and use case models are developed. New actuation technologies to create small, flexible and low-power haptic solutions are needed for devices that a user can either wear as part of their everyday life and also work as a feedback device (ring, band, watch, etc.). New actuation technologies can also enable handheld devices that are power efficient and not only provide vibration feedback, but also temperature, deformation, or even force-feedback. The haptics field is still young and full of possibilities. New products can now be created out of novel technologies as the demand for haptics is real and needed to differentiate new product offerings. There is not a single killer application, but a range of interactions that benefit from haptic feedback as we see in different areas from automotive to a mobile phone, to VR and gaming systems. The question is how fast these technologies can be created and be ready for prime time. In fact, this is the challenge that everybody working on haptics faces today. It is a great quest motivated by our knowledge that, through the power of touch, haptics can make an impressive impact on our lives.